For me, the best part about sewing is that I can make my crazy ideas come to life. Quite awhile ago I had the idea to make dolls of the kids – not like any dolls…. actual dolls with their faces. And now my latest tutorial at WeAllSew shows you how to do it for yourself, too! I take you through 3 different techniques to make your doll come to life: ranging for the tech savvy to no computer skills required. 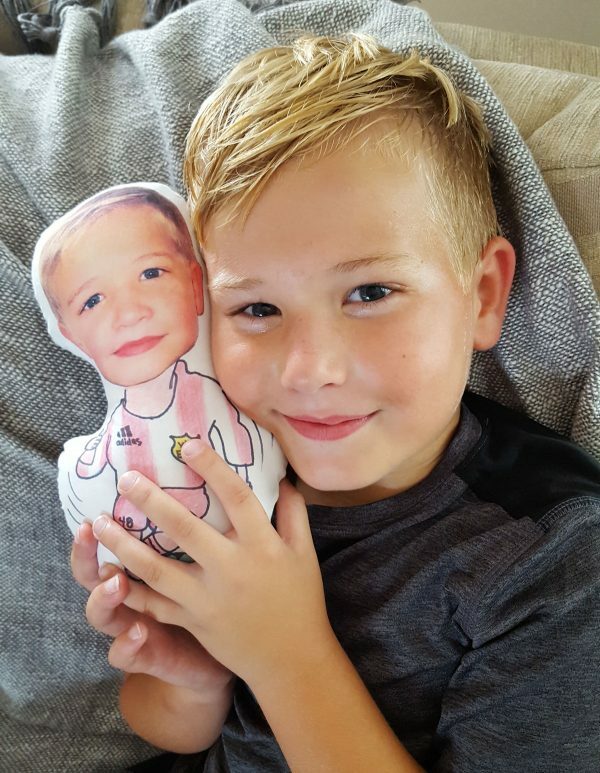 For my doll, I chose to use Easton’s head and drew in a cartoon (soccer) body (complete with his logo and number) because it was the silliest….. now Taylor wants one too! These dolls make unique gifts, presents for showers, toys for babies\toddlers (great for pretend play), or presents for those that are far away…. the possibilities are endless! Plus they’re fun and simple to make. I can’t wait to see how you make yours! This entry was posted in Uncategorized on September 7, 2016 by stacy.